After the cold winter that forced us indoors more than we would like, it is almost time for the spring season, which means it is time to prepare the porch for some time spent outside. A comfortable porch that is well decorated can make relaxing outside much more pleasant, and you can decorate your porch for the spring without breaking the budget in an effort to do so. The following are four spring porch decorating ideas to keep you comfortable, relaxed and simply able to enjoy the beauty of a well-decorated porch this year. 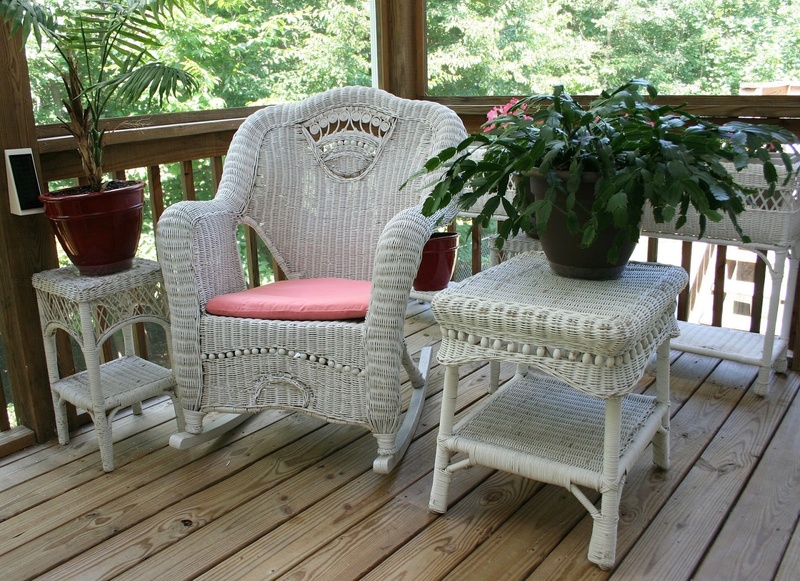 Furniture is perhaps the most important piece of a well-decorated spring porch. It is important to determine your purpose for the front porch when choosing furniture. If you do not use your front porch often and simply want it to add to the appearance of your home, then the comfort of the furniture should not factor in. However, if you plan to use your front porch as a way to relax outside and enjoy the warmth that spring offers, then you are going to want comfortable furniture that allows you to kick back and relax, in addition to furniture that is decorative as well. It is hard to find a well-decorated spring time porch that does not have a good balance of plants displayed throughout. Plants are the perfect spring porch decorating accessory, and they work really well to capture the mood and atmosphere of springtime weather. In addition to the natural beauty they bring to your porch, a good arrangement of plants on your front porch can make the porch simply smell better and make the air around you more clean, especially if you choose aromatic plants. While arranging natural plants on your porch requires you to water them, it is well worth it when considering the amazing atmosphere they provide. Let’s face it, it gets hot in the springtime. Instead of being forced to pick the cooler days to go out and relax on the front porch, install a ceiling fan and use it on the days where it is hotter than normal. In addition, ceiling fans work really well to keep bugs away as well. Not only do ceiling fans serve a practical purpose - which is to keep you cool and keep bugs away - but they are also a nice decor item for your front porch as well. A nice ceiling fan that is well-designed and properly installed can make the front porch appear more inviting and provide a more comfortable feel overall. While it can be subtle, a rug is a great way to complete a well-decorated front porch. In many cases, a wood front porch flooring does not do much from a decorative standpoint, but a beautiful front porch rug can make the porch stand out. In addition, a soft rug can make spending time on your front porch this spring much more pleasant, allowing you to kick your shoes off and relax.